Run your business on your terms. 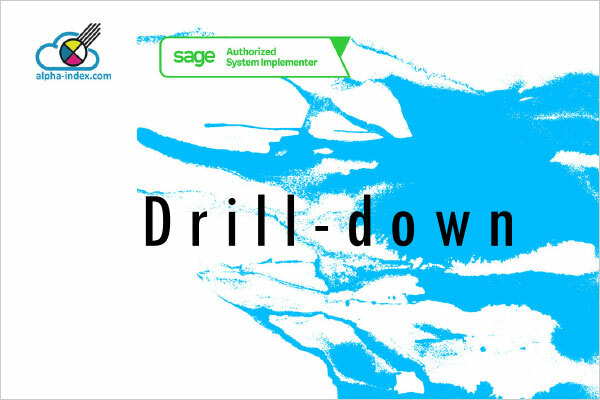 Sage will no longer be selling Financials and, although they have committed to continue supporting Sage Financials for as long as they have users, they are unlikely to be adding new features. However, Sage Financials is built on the Salesforce Platform, and as Registered Salesforce Partners, with certified developers, Alpha Index can fill in the feature short-comings. As one of the best accounting solutions on the Salesforce Platform we believe there is no reason to rush to changing your system and we are here to help your business maximises the potential benefits of Sage Financials. Below is a selection of the additional features we have packaged up, and it gives you an idea of the kind of extreme customisation that is possible, Please get in touch if you have any requirements that are not currently found in Sage Financials. The Feature Pack by Alpha Index offers a collection of feature enhancements to make Sage Financials a more complete and efficient application for our customers. Available direct to end-users and to partners through our referral program. Expensify, rated the best expenses Mobile App, takes the grind out of filling in expenses. 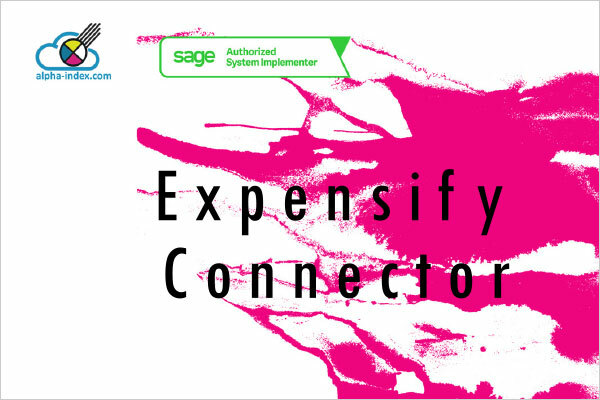 The Expensify Sage Financials Connector brings the data straight into Sage Financials, retaining the rich data from Expensify as Dimension Tags. Full support for Credit Cards, multiple companies & multi-currency. Fx adjustments enable you to accurately reflect currency fluctuations in the P&L and Balance Sheet. Unlike the standard Sage Financials Currency Adjustment, this solution allows you to automate adjustments for currency gains/losses to a period end date. Sales invoicing is a 2 step process, but purchases follow 3 steps: • Enter the invoice • Pay the invoice • Reconcile the bank payment Mark as Paid gives a robust way to reflect this 3 step process when using Bank Matching. The VAT Detail Report gives you a clear way to see if invoices have been mis-classified for VAT. By combining Invoice Details: Net, VAT & Gross, with VAT submission data you can reliably signoff your VAT submission. It’s much easier to enter and edit your budgets in this grid layout. Plus: • Copy previous year to Budgets • Copy Budgets to Forecasts • Copy Actuals to Forecasts All this managed in a grid which you can sync back to the Sage Budget & Forecast transactions. If you want an easy way to reconcile your bank account without the complexity of Bank Making, easyReconcile is your answer. The Developer Pack API makes it easier and faster to write code that creates Sage Financials Transactions, Journals and Ledger Entries. It improves reliability and reduces test coding compared to rolling-your-own from scratch. Create your APEX tests in minutes, not hours or days. 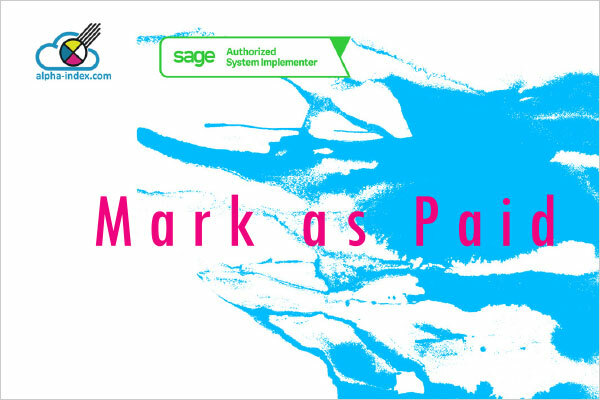 APEX allows you to extend Sage Financials far beyond what is possible with other accounting systems. APEX Tests are a frustrating, but compulsory part of coding in APEX. 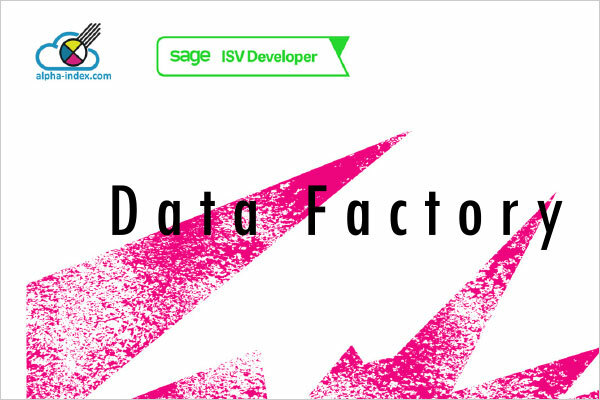 The Data Factory reduces to a fraction the time to write those tests. If you need documents laid out differently to the standard Sage Financials format, Alpha Index is offering a service to partners and end-users to provide all-in-one solutions. Statements, Delivery Notes, Order forms, Invoices. Batch PDF, batch emailing, single emails. 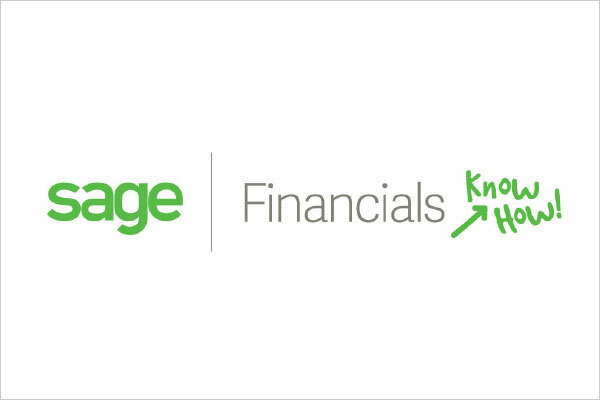 Our regular email newsletter has in-depth articles to help you run your accounts on Sage Financials.